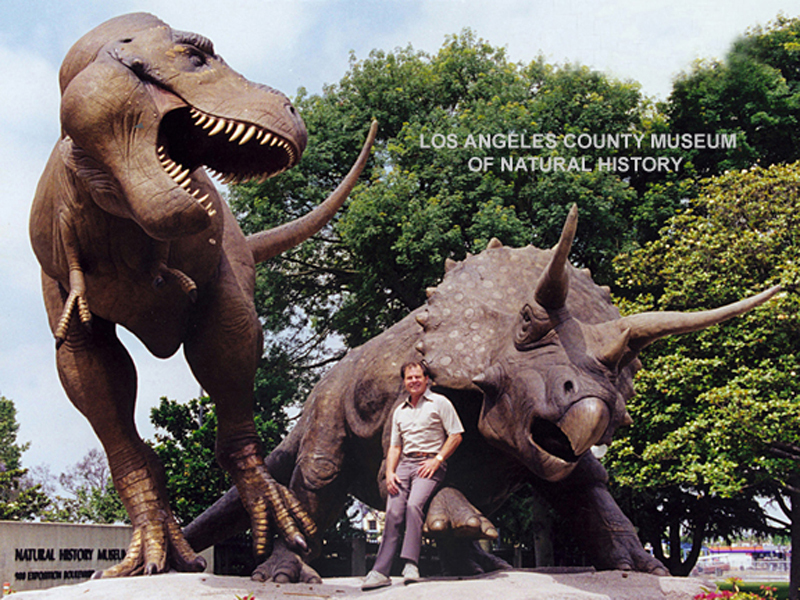 This magnificent piece was commissioned by the Los Angeles County Museum of Natural History. Doug hired paleontologist Kenneth Kirkland to incorporate the latest findings to sculpt the most accurate representation of the Triceratops and Tyrannosaurus Rex yet produced. The museum displays the exact situation with the skeletons of these prehistoric beasts in their rotunda.